Once again we travel outside of my home state of Victoria for this brewery review. I was the sucker who volunteered to drive over to Adelaide so I and my colleagues who are flying over could have easy access to a car and save on rental costs for the week we are over here. How was I to know it would be 30+ degrees and bushfires would be raging around Adelaide? Anyway heat and bushfires aside; Prancing Pony Brewery is located in an industrial area in Mt Barker in the Adelaide Hills around 30km's from the city. It's a really nice little spot and Lizzie and I decided to brave the heat and sit out in the sun in front of their brewery with our beer and food. Not many, if any, Prancing Pony beers get to Melbourne. The only one I can remember having was their GABS offering this year, a Weizenbock, which wasn't fantastic. Undeterred by that one beer Lizzie and I ordered our beer and some food (which we'll get to later) and headed out into the South Australian Summer sun. As I try to everytime I visit a brewery, I started off with a paddle. Beer number one on the paddle certainly vindicated the decision to come to Prancing Pony. It was, at least termed, a Blonde Ale. The beer was certainly light in colour, but was incredibly light and refreshing with Noble German hops very prominent. It was quite unlike any light summer ale that I've had before - so unique that I ended up buying a 6-pack to take home! The Prancing Pony take on an Amber Ale was the second beer on the paddle. It was again quite different to the norm with quite a light, but strangely not thin, mouthfeel. The flavour had good caramel malt flavour with a nice amount of pine coming from the hops. 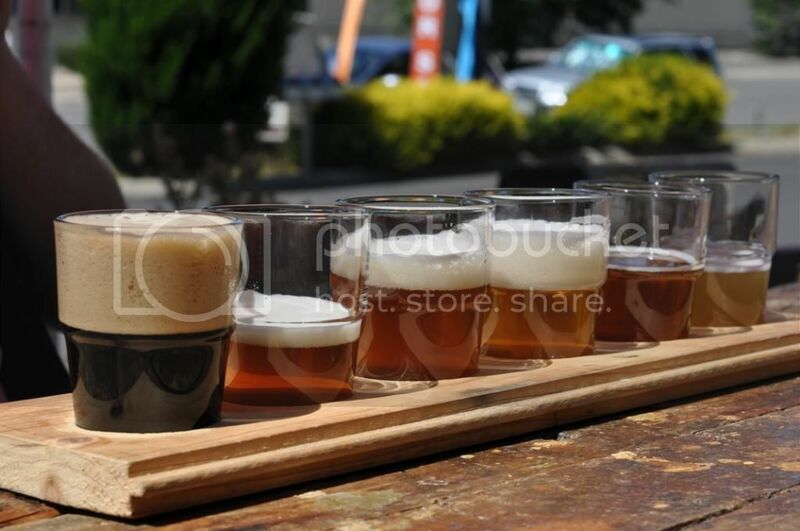 If you refer to the picture on the right of this post, the Pale Ale is the golden coloured beer (3rd from the right) with the big white head. I really enjoyed it - there was plenty of citrus and tropical fruits flavours coming from the hops and the light malt base was lovely. This beer paired brilliantly with one of my favourite foods (more on that later). Beer 4 on the paddle was their Copper Ale. It was an English style IPA, which surprised me a bit. The malts really came on strong in this one and were really caramelly. There was a bit of floral and apricot flavours coming from the hops, which were initially quite light in flavour but the bitterness lingered for a long time. It was really quite a refreshing beer. Prancing Pony's India Red Ale was fifth and it was far and away the pick of the bunch! This beer has everything; huge amounts of malt, heaps of tropical fruits. I'm going to go out on a limb and say it's the best Red IPA I've had! The balance between the hops and malt is superb! It clocks in at almost 8% ABV but you'd have no idea, as it's almost unnoticeable. I grabbed a couple of take-away bottles of this as well - so with any luck I'll review it in full in the not too distant future. The Black Ale was the last beer on the tasting paddle. It was somewhere in the gap between Black IPA and Stout/Porter. That said, it was a very interesting beer with malt taking a front seat and some citrus hops coming in at the end. Saying I loved it would be an overstatement - but it's certainly an interesting ale to try. I know I've been hyping the food up alot, but it was seriously good. 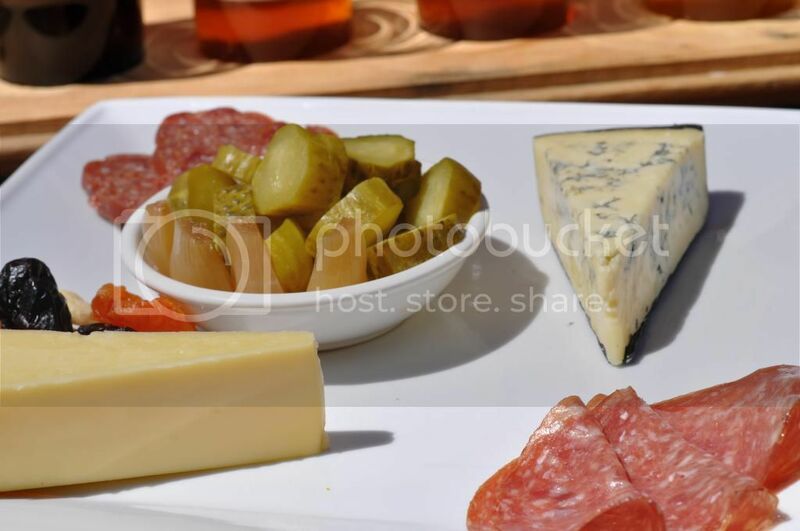 The meat and cheese platter, pictured left, was superb - that blue cheese and the India Red Ale was a spectacular match. But the real winner was the currywurst! Ever since I went on exchange to Berlin I've loved currywurst and always wondered why the best beer snack I've ever had is so hard to find in Australia. Not only did Prancing Pony do currywurst; they did a bloody good one! The one thing I forgot to mention up the top is that Prancing Pony is Australia's only Fire Brewers. It differs from regular brewing in that the brewing kettle itself is heated to extreme temperatures (rather than steam inside the kettle). They say this leads to more caramelization of the malt and hence more flavour. 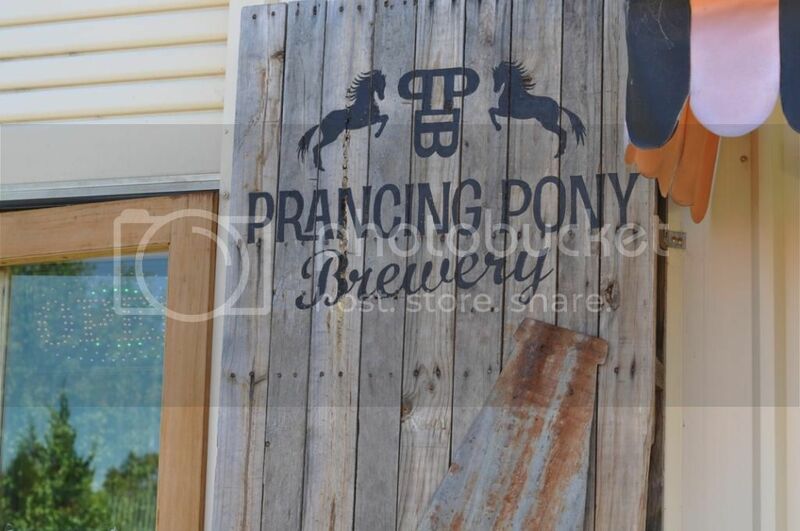 I'm not sure if it's the fire brewing that does that, but the guys at Prancing Pony are making some very fine beers. If you're in the Adelaide Hills it's a great spot to stop in for lunch and a few beers.